Prices include all tuition fees, manuals, equipment, refreshments and overnight accommodation as stated, but excludes travel. Payment can be made online, through Paypal or by credit card, debit card or bank transfer. An early bird deposit of 50% of the course fee secures your place. In the event of postponement by you, your booking may be transferred to another programme, subject to availability. In the event of cancellation by us, your booking may be transferred to another programme or refunded. Full payment or the balance of the fee is payable 14 days before training commences. If full payment or notice of postponement is not received by this time, the booking will be cancelled and 10% of the deposit forfeited. Full refunds (excluding the non-returnable 10% deposit) will only be given if notice is received up to 14 days before the module/course start date. No refunds given for cancellations made less than 14 days before the module/course start date. 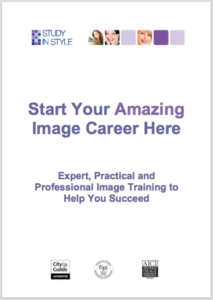 The Image House (UK) Ltd reserves the right to cancel or alter the dates of a course or module at any time. A full refund or alternative dates will be offered. We aim to provide the best possible services to our students. In the unlikely event of our receiving complaints, we undertake to look into them thoroughly and promptly, and do everything reasonable to put matters right. Reproduction, duplication, distribution or transmission of the Study in Style manuals or DVDs, in whole or in part, in any form or medium without written permission from The Image House (UK) Limited is strictly prohibited.